Vibrant purple orchids and deep red roses are a perfect combination for just about any special occasion. 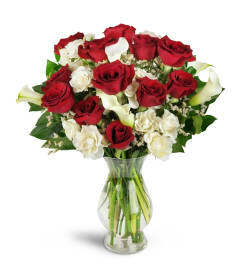 For an anniversary or to say, "I love you," this winning combination will speak your feelings for you! Lush and romantic, with a very modern twist. 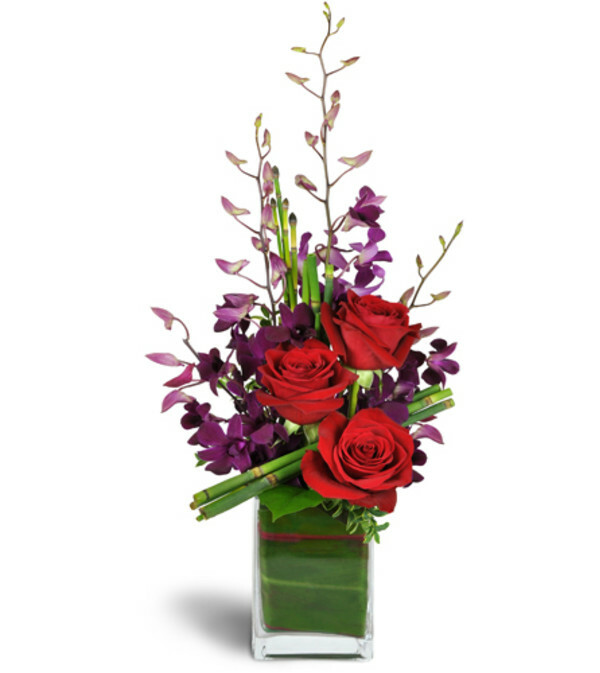 Red roses and purple dendrobium orchids are artfully arranged with architectural horsetail and tropical greens, in a modern rectangular glass vase. Persevered through a difficult delivery; the flowers and fruit basket were even nicer than the customer service. This was the third time I have sent flowers to my aunt from Erika's Flowers. I am from out of town and the florist we used to use was no longer in business. I took a chance with Erika's and my aunt called me to tell me how exceptionally pretty the flowers were. 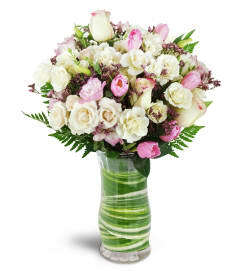 I have sent twice since and the flowers were gorgeous each time! I will definitely order from them in the future. Erika's Flowers is a Lovingly Florist in Saginaw. Buying local matters. Discover how Lovingly supports local florists. Copyrighted images herein are used with permission by Erika's Flowers.